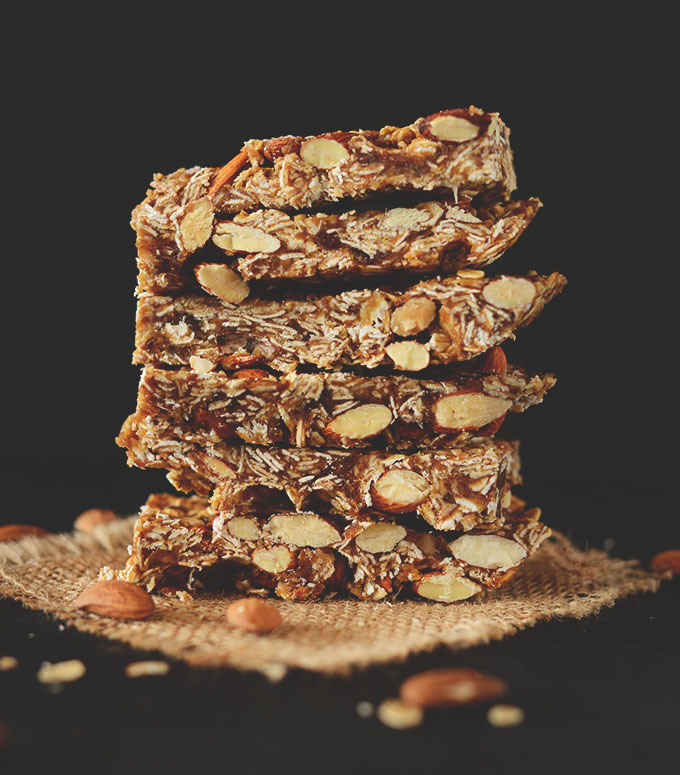 Healthy Peanut Butter Granola Bars – 3-ingredient peanut butter granola bars that are naturally sweetened, wholesome, and perfectly salty-sweet. A healthier snack for lunches, road trips and more. Super Seedy Granola Bars – Vegan and gluten free granola bars loaded with 4 kinds of seeds: hemp, sunflower, flax and chia! 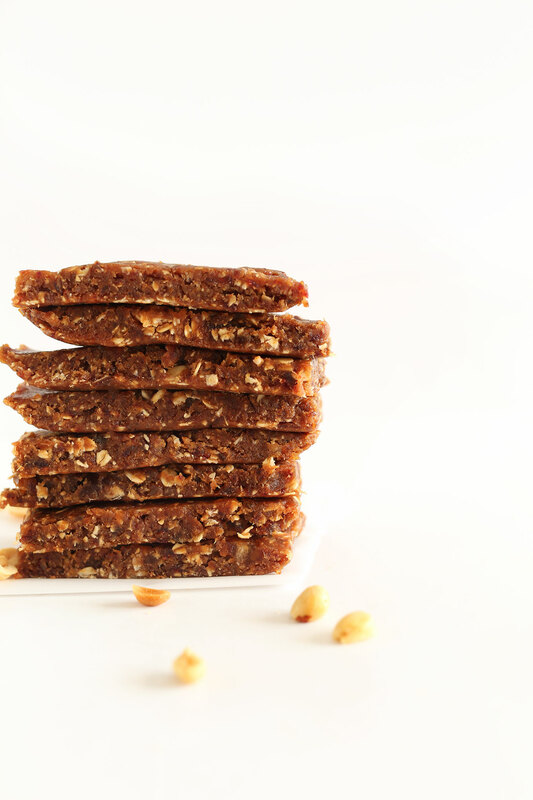 So healthy, naturally sweetened and perfect as an on-the-go snack. Healthy Chocolate Brownie Granola Bars – Granola bars that taste just like a raw brownie! No baking required – it’s optional! Simple, all naturally-sweetened and so delicious. Chocolate Chip Almond Butter Granola Bars – Simple, 6 ingredient bars that are tender, chewy and so easy to make. 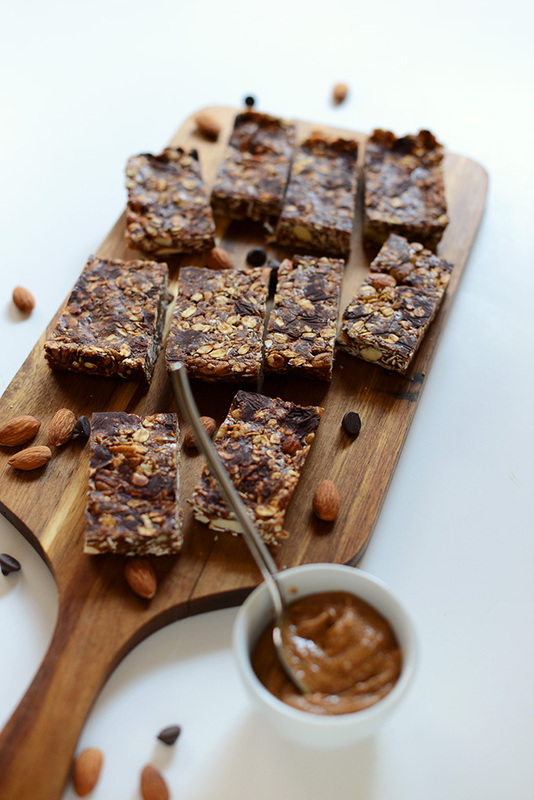 Chocolate chips and almond butter make these bars irresistible without any of the guilt. Healthy, 5-Ingredient Granola Bars – No-bake granola bars with just 5 ingredients and a sweet, crunchy texture. Peanut butter and honey complement each other perfectly in this ideal portable breakfast or snack. 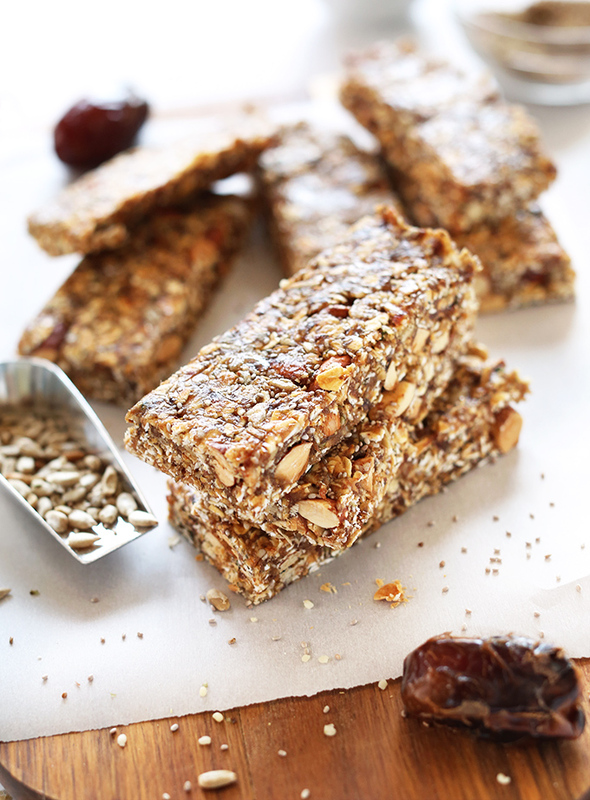 So you always know where to find your go-to Vegan Granola Bars! Hi Pamela! Which recipe are you thinking of in particular? 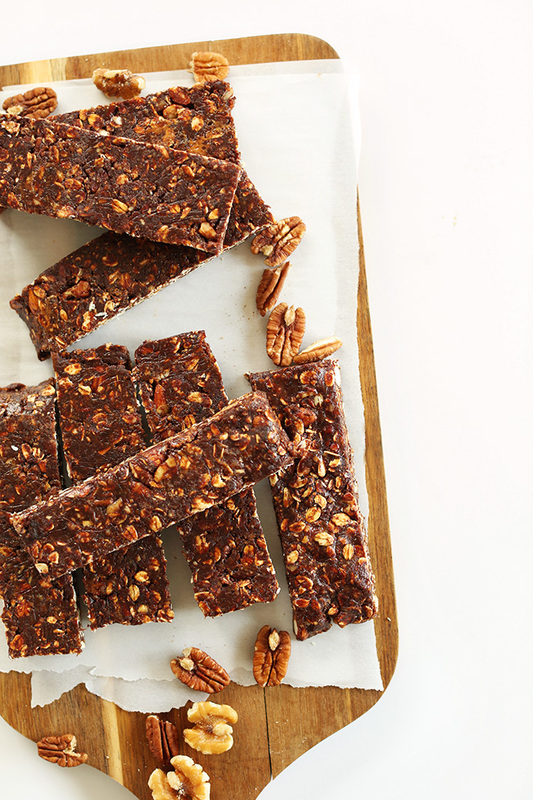 It’s the HEALTHY 5-INGREDIENT GRANOLA BARS. Yes! They will keep in the freezer for up to 1 month. Is there a way to make the granola bars without the dates. I love dates, but don’t always have them in the house. You could sub another dried fruit, such as prunes or figs? I ran out of dates and used a mixture of dried apricots and raisins soaked for a few minutes in hot water which worked nicely.